Pat O'Brien, Randolph Scott, Anne Shirley et al. It's World War II, and young men are being turned into bomber pilots. Training them are Maj. Chick Davis and Capt. Buck Oliver, old chums who disagree about how to best win the war. As they train their fighting force, Davis and Oliver must overcome their cadets' fears, combat espionage and learn to put aside their rivalry. 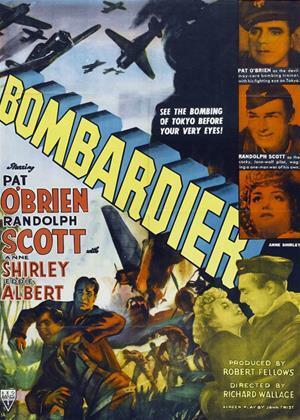 Romantic intrigue comes courtesy of Burt Hughes, the Bombardier Training School's much sought-after secretary.